Even though I advised you guys against becoming the Lonely Hero who holds the world on his shoulders, this is a lot like I feel for the last few months :-). Wearing so many crucial hats simultaneously could be and is a hard job. So I decided that at least two weeks of not doing anything at all would be in order for me. 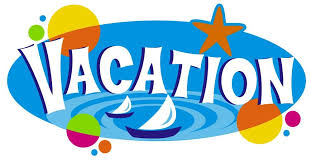 So, see you all in two weeks and I promise to bring a lot of vacation-inspired inspiration to the pages of my blog. This entry was posted in Decision Making, Project Comminication Management, Project Management and tagged Business Management, Communication, Functional Manager, Human resources, Management, Project Manager by AnyaWorkSmart. Bookmark the permalink. I will miss you 🙂 see you in two weeks. Have a great holiday Anya. I hope you are taking time to rest too!